Awesome post! It is pretty funny/sad that we make an excuse not do a transformative task because we are not already in that transformed state yet. The most satisfying things in life are always the ones that require great effort to attain. 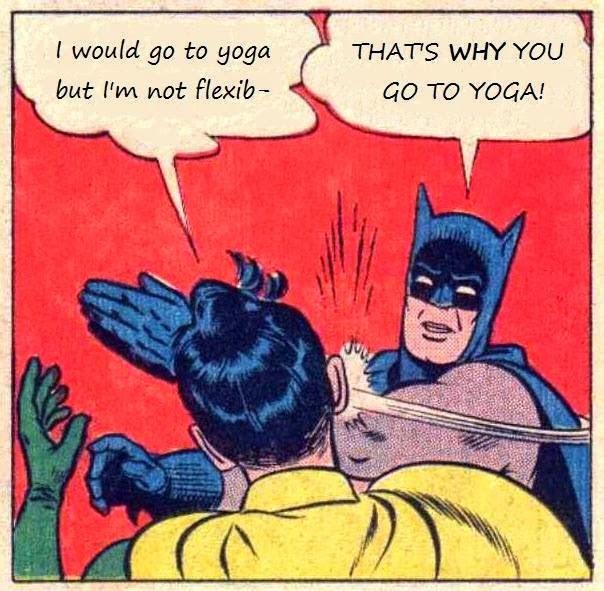 I thought the same thing, until I started doing yoga. I discovered that some types of yoga sessions are little more than controlled breathing and/or laying on the floor and letting your angst/grief/stress out. Until you do it, you don't realize how much of that nervous crap in your head can be relieved by physically decompressing. Alternatively, there are some yoga sessions that I find very physical and tiring while doing them, but I feel rejuvenated and energized later. On topic, the teacher complimented me at the end of my first session with the group, and I surprised myself by what I could do when I really relaxed. Actually, I emulated the style and breathing technique of the experienced people next to me, which was a great help. I've been doing yoga for over 20 years now and I'm still not “good” at it, but I would never let that stop me from enjoying my practice. Thanks for reminding people to accept where they are, and start from there. A good rule for yoga, business, and life.